So many safety toe shoes out there claim to be the best work shoes around...they’re wrong. The excellent designers at Reebok have bested everyone else by designing footwear that not only makes your feet comfortable but also keeps them protected at the same time. ... (see full details) (see specifications) #RB045. So many safety toe shoes out there claim to be the best work shoes around...they’re wrong. The excellent designers at Reebok have bested everyone else by designing footwear that not only makes your feet comfortable but also keeps them protected at the same time. These Reebok Women's Sublite Cushion Grey Alloy Toe RB045 Athletic Oxfords are perfect for those who have an office job but need the protection that's found on construction sites. This Reebok style comes equipped with alloy toe caps that meet ASTM F2413 safety standards. This pair is also electrical hazard rating with an electrostatic dissipating dual resistor protection, while the outsole is slip-resistant, giving you a design that not only feels good but is extremely safe as well. Made with mixed mesh and textile uppers, these Reebok women’s work shoes are perfect for keeping your feet cool and comfortable. The mesh part of the uppers allows cool air to enter the design while allowing heat to exit the alloy toe athletic shoes. The webbed textile provides more support to the Sublite Cushion shoes than just the mesh alone and also gives your feet more comfort than other types of uppers would. Also included in these women's grey shoes is moisture-wicking nylon mesh. This mesh allows sweat and moisture that accumulates on your feet to exit your feet, leaving them dry and comfortable, rather than damp and hot. This moisture-wicking nylon mesh also provides another level of stability and support to the shoe, while leaving it lightweight and flexible. Inside these comfortable ESD work shoes are MemoryTech massage removable cushion footbeds. This footbed model is made with specially designed MemoryTech technology that molds to your feet, giving you maximum comfort while at the same time supporting your feet and stabilizing the women's footwear. This design gets even better because you're able to remove the footbeds, whether you'd like to insert a different one or another MemoryTech footbed - so no more unsupportive athletic shoes! Back outside the women's shoes, the designers at Reebok have specially designed outsoles for your steps. This Sublite EVA cushion midsoles with rubber heels and forefoot pads are the latest technology that men's and women's footwear can have. This EVA midsole is made from ethylene vinyl acetate, also known as “foam rubber,” which gives your feet cushioning comfort, while at the same time acting like a traditional rubber outsole by providing your feet protection and stability as well as the toughness that's associated with a rubber outsole. The Sublite part of the mid/outsole refers to the lightweight materials used in the manufacture of the slip-resistant shoes, making these not only strong but also lightweight at the same time. So if safety and looking good are priorities for you, then these Reebok Women's Sublite Cushion Grey Alloy Toe RB045 Athletic Oxfords from Working Person's Store. 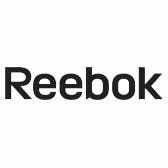 This is a top choice, so take advantage of this opportunity to have the best of the best and order your Reebok footwear today. Reebok Shoes: Women's Sublite Cushion Grey Alloy Toe ESD RB045 Athletic Oxfords is being added to your cart.